A bug in the latest Diablo 3 patch has reportedly left many players with billions of gold, but Blizzard says a rollback isn't going to happen. 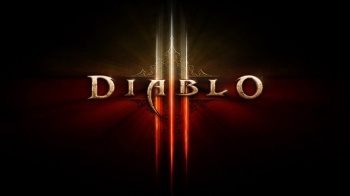 The Diablo 3 1.0.8 patch that went live yesterday introduced an economy-breaking gold duplication bug that allowed many users, according to a Battle.net forum post, to acquire billions of illegitimate gold; one particularly industrious player apparently racked up 371 trillion. Those numbers are unconfirmed but the bug is definitely real, and Blizzard has taken both the gold and real money auction houses offline as a result. "After the release of Patch 1.0.8 this morning, we found that some players were exploiting a bug that enabled them to duplicate gold through the Auction House," Diablo 3 Community Manager Lylirra explained. "We're working on fixing the bug right now, and bringing the Auction Houses offline helps us troubleshoot in a more stable environment while preventing further exploiting." Blizzard has since come up with a fix and is now in the process of testing it, and has also announced that despite calls for it from many players, the servers will not be rolled back. "We've been able to successfully identify players who duplicated gold by using this specific bug, and are focusing on these accounts to make corrections. While this is a time-consuming and very detailed process, we believe it's the most appropriate choice given the circumstances," she wrote. "We know that some of you may disagree, but we feel that performing a full roll back would impact the community in an even greater way, as it would require significant downtime as well as revert the progress legitimate players have made since patch 1.0.8 was released this morning." The fate of those who took advantage of the bug remains unclear; Blizzard said in its initial announcement of the auction house shutdown that it has begun the process of "reviewing the accounts involved and taking appropriate actions, including temporary locks, suspensions, and/or bans."